Winter can be harsh on your skin, causing it to dry out. Using moisturizing and hydrating products like an hyaluronic acid serum is the best way to combat dryness. I’ve been using a hyaluronic acid serum all winter (read about it here), and loved the results. 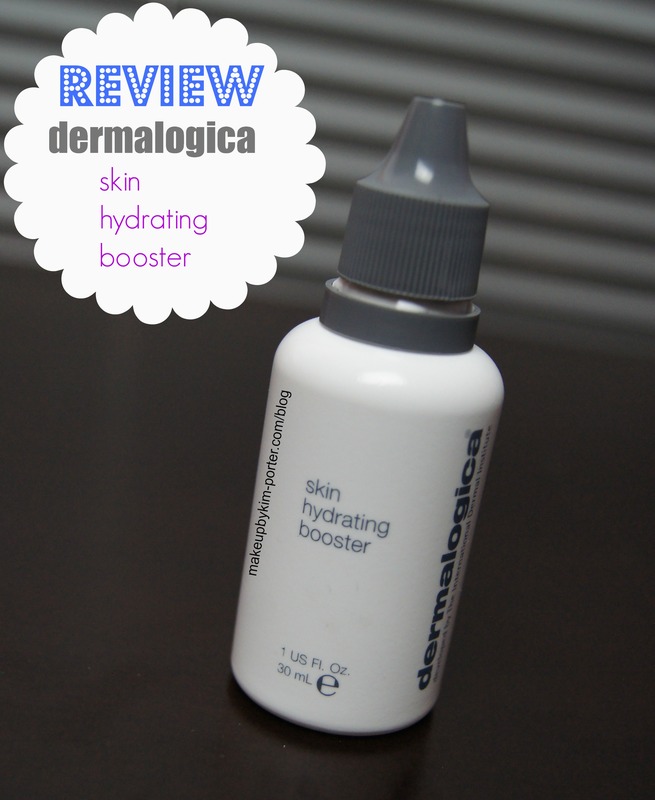 When iFabbo provided the opportunity for me to review the Dermalogica Skin Hydrating Booster, I took it. My skin is currently thanking me for agreeing to test out the Dermalogica Skin Hydrating Booster. Keep reading to find out why. What is the Dermalogica Skin Hydrating Booster? The Dermalogica Skin Hydrating Booster is a lightweight, fast-absorbing fluid that hydrates and moisturizes the skin, as well as aims to minimize fine lines. Ingredients like hyaluronic acid, Panthenol, Glycolipids and Algae Extract help restore moisture balance. Help lift moisture levels by mixing into your prescribed Dermalogica Moisturizer or applying directly to parched skin. It is formulated without artificial fragrances and colors. Dermalogica is one of my favorite skincare brands, especially when I’m in the position to splurge. Their products are amazing and yield great results. The Dermalogica Skin Hydrating Booster did not disappoint. I started using it first as a spot treatment for one of the dryer areas on my skin (my right cheek), and then eventually graduated to using it all over, and my skin is happy. As mentioned previously, I’ve used an hyaluronic acid serum that I loved, and the Dermalogica Skin Hydrating Booster was, in my opinion, better. Unlike the previous hyaluronic acid serum that I was using, the Dermalogica Skin Hydrating Booster was extremely light weight, and instead of being like a gel, it was more fluid-like. It wasn’t quite watery, but it wasn’t thick either – if that makes sense. I liked that the Dermalogica Skin Hydrating Booster absorbed easily and did not pill, unlike the other serum I used. Because of that I was able to apply it under my moisturizer and makeup. I have this trouble spot on the right side of my face that tends to dry out or break out from time-to-time. 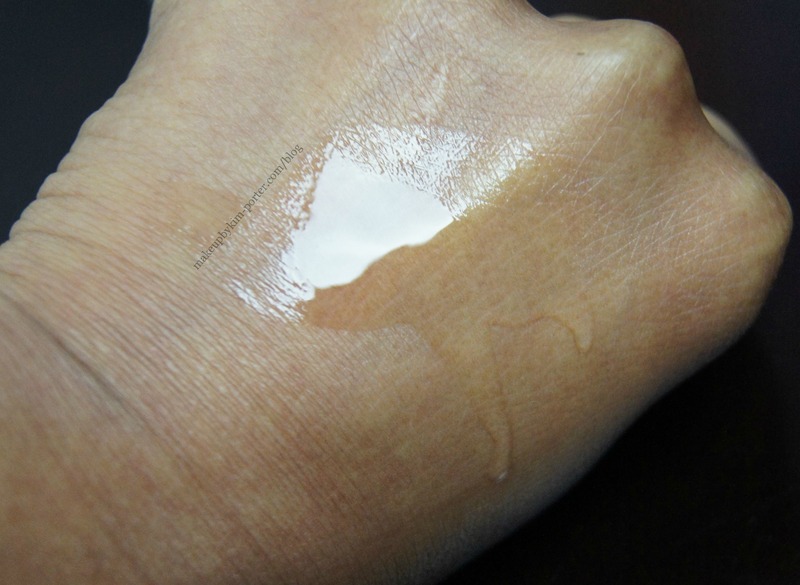 There are times when after I apply my makeup that the dryness in this area would seem to exaggerate, that is, even after I apply my makeup. After even one week of using the Dermalogica Skin Hydrating Booster, my skin in that area looked remarkably better and hydrated. The Dermalogica Skin Hydrating Booster worked well with my combination skin, and did not cause any breakouts. If you are in the market for a light weight, hydrating serum that isn’t oily or greasy, then the Dermalogica Skin Hydrating Booster is for you. Although on the expensive side, 1 oz for $56, I believe it is worth the splurge. This is a product I would re-purchase. If you’re interested in purchasing the Dermalogica Skin Hydrating Booster, from now until May 31, 2014 Makeup by Kim Porter readers can receive 15% off using the Code: BOOST on Dermalogica.com. What do you use to ensure your skin stays hydrated? Disclosure: Press Sample. All opinions are my own and are honest. Affiliate links. I have this coming soon & now I'm EVEN MORE excited which I didn't think was possible!!!! I agree with your description of Dermalogica, when I can splurge, this is the right brand for it! This sounds like a good moisturizer, and even though it's pricey I like the idea that you can use it to spot-treat dryer areas. Great review, thanks! I am a serum-aholic. I love a serum that absorbs quickly and isn't sticky or too slick. This sounds like a great one! I LOVE THIS THING!! I use it everyday! Sounds great! I love serums. This sounds really nice!!! I have a Bioelements spritz that I use. My recent post An out of this world combo with Avon and Salon Perfect! I'm really pleased with this serum too. Perfect for under makeup too! I tried this too and LOVED it! I think I need to check this out. I like the idea of spot treating dry areas! I am always a huge fan of Dermalogica – this sounds amazing. That just might be worth looking into as this is dry season here in Colorado! I love this stuff! It's amazing! I like Dermalogica, they always have such high quality products! Definitely a splurge but it sounds like it worked out really well for you as well as other bloggers! Oh, this looks great! I have only heard good things about this brand! Nothing but good things on it ! I do love Demalogica for so many products that I'm afraid to also love this one. Great review. Can't wait to try this. Great review. Sounds like a product that is well worth the money : ) If you use a small amount I'm sure it will go a long way too and be worth it rather than buying a cheaper product that isn't any good. Great review. I'll look into this product. i need to try this! ive been using african black soap which has been great for clearing up some of my acne but it can be so drying. Love that you can spot treat with this as I am combination to dry depending on the area of my face. I've never tried anything from Dermalogica before either. Still need to try this! My recent post Lancome Visionnaire 1 Minute Blur: Erase Imperfections! Dermalogica has some amazing products! sounds like a wonderful product that worked for you, can't wait to try this out!